Who to involve when evaluating our success as Scrum Masters? In this episode, we review the critical stakeholders, and how to involve them in our own self-evaluation. In this episode, we refer to the Niko-Niko Calendar and the Happiness timeline, two of the tools you can you to evaluate your success as a Scrum Master. Featured Retrospective format for the Week: What was good / bad and what actions should we take? The Good/Bad/Actions format is a simple, yet effective format. 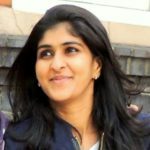 Nisha explains how to facilitate this format in a short time frame and how Scrum Masters can prepare to host the retrospective. Nisha likes to start with a plan. But her approach is very adaptive. It is not about following the plan, but about kick-starting the change. Listen in to learn how she addresses teams and involves them in the change process. When Nisha got started she loved the logical thinking required for programming. However, the role of the Scrum Master was much more than that. On top of that, being a Scrum Master and trying to program at the same time brought some serious problems that Nisha had to face. Listen in to learn how you can survive the dual role of being a programmer and a Scrum Master (or not).